SodaStream is opening their first ever pop-up store at our Union Spaces location in the Front Street Promenade. Did you know that one reusable SodaStream bottle saves up to 2,000 plastic bottles a year? 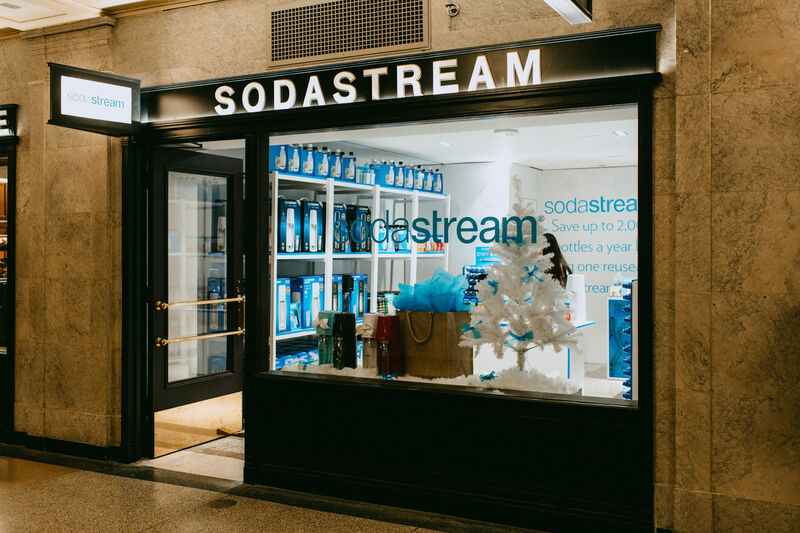 For a limited time commuters can get the perfect gift right at the SodaStream Holiday Pop-Up located in the Front Street Promenade, where you’ll find SodaStream Sparkling Water Makers, flavours, and accessories. You can even exchange your C02 cylinders.